SCE Engineering and its employees are active in a wide range of socially responsible organizations and activities. In particular, we have focused our resources and efforts on the two following organizations. Compass Affordable Housing redeveloped an abandoned and neglected former motor lodge in downtown Tucson. The Downtown Motor Apartments provide 44 affordable housing units in a growing urban area that lacks affordable housing, especially for people that work in the area. This sustainable development project consists of 35 one-bedroom and nine two-bedroom apartments. A portion of the units are reserved for veterans. SCE Engineering provided planning and design services for this project. The mission of Compass Affordable Housing Inc. is to improve the quality of family and community life by developing, producing and managing low-cost affordable housing on the local, state and national level. SCE Engineering staff was involved in the development of Glenstone Village Apartments, a 72-unit, multi-family affordable housing complex that caters to people in recovery from substance abuse. The complex was completed in 2010 and includes meeting rooms, a workout room, a computer room and a library. 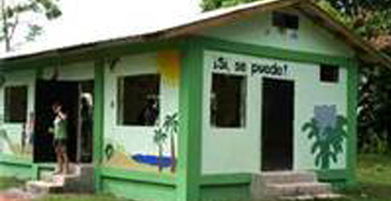 SCE Engineering staff was involved in an EWB project in El Porvenir, Honduras. The project consisted of designing a grade school for this small, rural community. The design had to incorporate the use of local materials and construction methods with international building standards for hurricane and seismic loadings.